Outer waxy coating of cucumber can erase the pen writing. Pressing cucumber on roof of mouth for 30 sec will eliminate bad breath. It is made up of 96% water. English cucumber can grow longer than 2 feet. 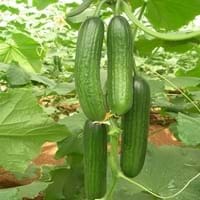 What are the General Benefits of Cucumber? Significance of fruits in human diet is well recognized and these natural foods are equally appreciated for their high nutritional value. 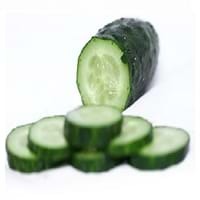 Talking about Cucumber Nutrition, it is full of vital nutrients required for our overall fitness and health. 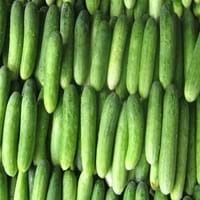 What are the general benefits of Cucumber? Some of the general health benefits of this fruit are: increases metabolic rate, kidney stone treatment, prevents constipation, removes toxic metals, treatment of alzheimer's disease, eczema treatment, arthritis treatment and cancer prevention. Fruits also contribute well as a remedy for various hair problems. The hair benefits of this fruit are: promotes longer and healthier hair, protects hair, regulates hair growth and shiny hair. Intolerance to certain fruits or their excess consumption can lead to allergies or side effects. The side effects of this fruit are stressed heart, irritation, swelling, swelling around mouth, throat swelling, tongue swelling and strained blood vessels. Therefore, despite the taste and nutritional value of fruits, it is essential to consume them as per our health requirement. Keep reading to learn about Cucumber fruit which includes its nutrition, taxonomy, benefits and unique facts!